WSAR is a collective effort co-ordinated by the Emergency Medical Services in the Western Cape (EMS) that co-ordinates, manages and executes the search for, the medical treatment of and the rescue (or the recovery of mortal remains), of persons and/or patients whose health and/or safety is threatened or compromised in a Wilderness Environment (Mountains, Shorelines, Rivers, Kloofs, Non-mountainous wilderness areas, Caves, Deserts, Forests). To place appropriate Emergency Medical Care at the side of the patient as quickly as possible and once stabilized to rescue the patient with due consideration of their medical condition. 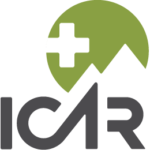 WSAR and its members aspire to provide, or to the best of their ability facilitate, the provision of the highest possible level of medical care deemed appropriate to a patient’s needs; adhere to the highest standards of medical ethics with respect to patient care, patient confidentiality and patient advocacy, as required by the medical profession and statutory law (HEALTH PROFESSIONS ACT, 1974); and to actively foster a spirit of Goodwill between all the members of WSAR. 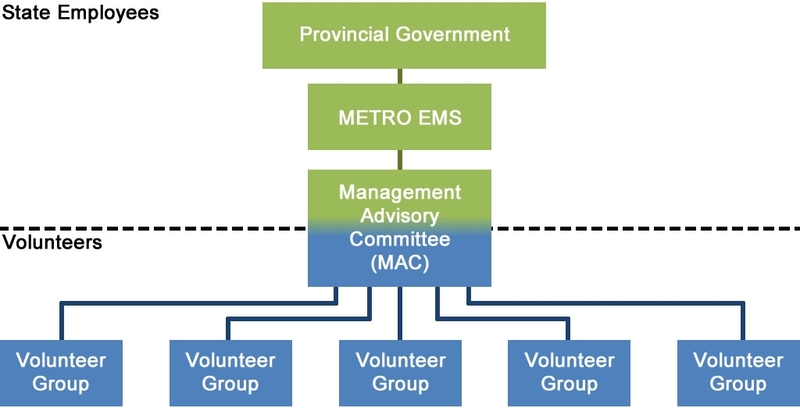 Each Organisation, state funded or volunteer, has a representative in the Management Advisory Committee (MAC) which decides on the future development of WSAR. Basis of this working together is the Memorandum of Understanding (MOU), a document that outlines aim, structure and process. The Western Cape is divided into cells: Cape Peninsula (PEN), Winelands (WIN) and Eden District, each with their own duty raster and management.